The DRL serves the global Direct Readout community here on behalf of the SNPP mission. As the "Portal" for SNPP Direct Readout mission information, technologies and algorithms, the DRL enables the global Direct Readout community to process SNPP Earth monitoring data for real-time applications. For the purposes of technology evaluation and user awareness, the DRL receives the SNPP High Rate Data (HRD) transmission using the representative SNPP Direct Readout system and generates SNPP products for each pass observed. The products are then published to the Recent Data Products gallery on the DRL Web Portal. The algorithms used to generate these products were provided by the mission and ported by the DRL and other mission development teams. 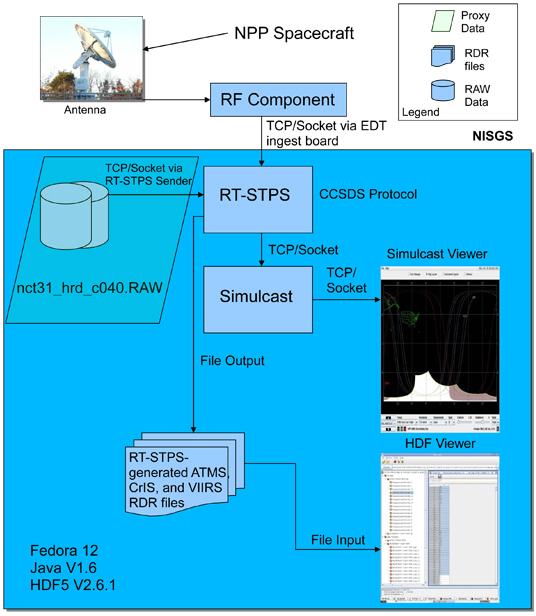 The DRL implemented these algorithms in support of the SNPP instrument suite for use in a Direct Readout environment. These SNPP algorithms, in Science Processing Algorithm (SPA) form, are available for free download via the DRL Web Portal. The IPOPP data processing framework is also available for free download via the DRL Web Portal. To learn more about DRL's phased approach to NPP algorithm implementation click here. The DRL completed Phase 1 of its NPP algorithm implementation by porting available Suomi NPP processing algorithms for use in a Direct Readout environment. With Phase 2, the DRL addressed science implementation issues and support of the mission-specified data format. Now in Phase 3 the DRL is addressing a maintenance model, with the focus on creating an efficient approach for versioning the baseline algorithms within a Direct Readout environment. Phase 3 implementation progress is captured in the diagram "Phase 3 Direct Readout Implementation of the VIIRS IDPS Chained-processing Approach." The diagram is available as either a PDF or a PowerPoint file. The "VIIRS IDPS Chained-processing Approach" diagram is available as either a PDF or PowerPoint file. 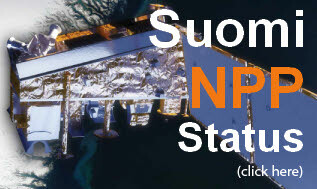 To learn more about pre-launch Suomi NPP High Rate Data Testing with DRL Technologies click here. Click here for thre DRL SNPP HRD Commissioning Report (December 2011).